Looking for things to do in Buenos Aires? If you love to dig deep into culture, you’ll find these local encounters rich and satisfying. Argentina is a very young nation — even younger than the U.S. — but its history is dramatic and fascinating. 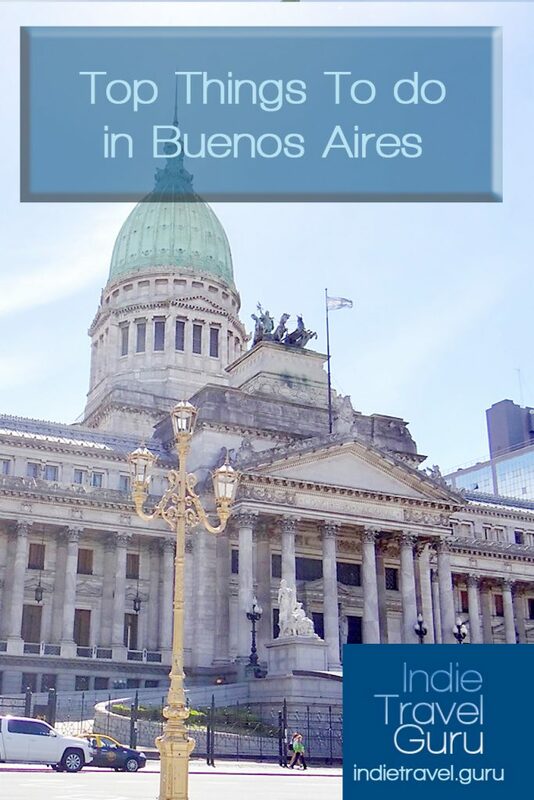 The best way to absorb it is with a walking tour from Buenos Aires Free Walks. You’ll see several tours on their website; the “Afternoon City Center” tour is rich in local history and politics. You don’t need a reservation. Show up at the front gate of the National Congress at 3pm any day of the week and look for the orange-shirt-wearing guides. Tours are available in English or Spanish. At the end of the tour, pay whatever you thought the tour was worth (200 pesos is a good price). 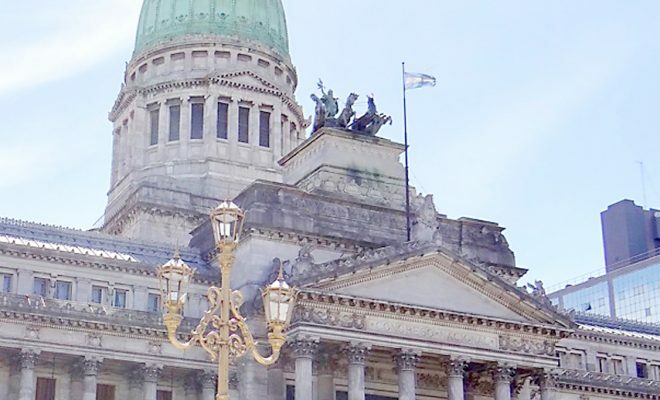 You’ll make your way down one of the grandest and most historic boulevards in the city and end up at the Plaza de Mayo. 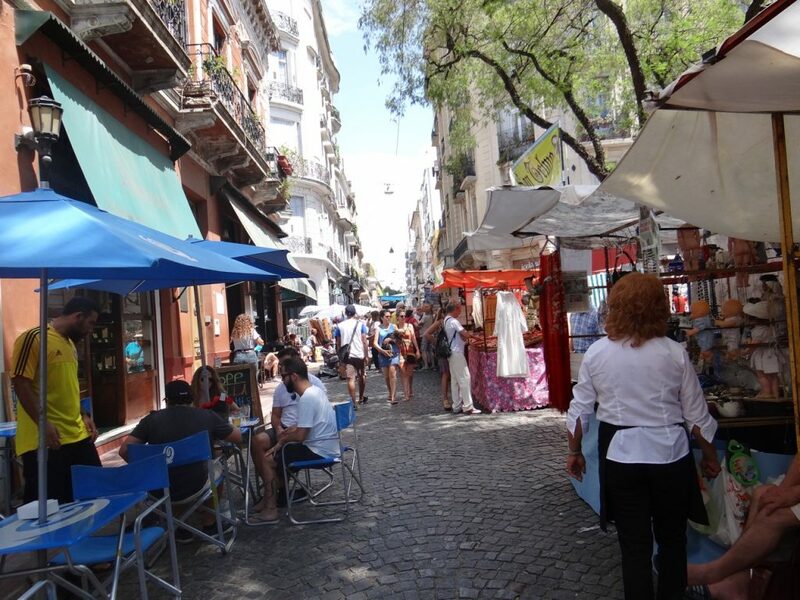 From there you can walk to the San Telmo neighborhood to shop antiques and find a nice spot for dinner. There are lots of tango experiences on offer in Buenos Aires. 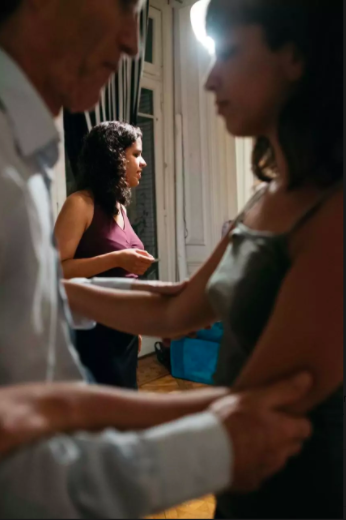 If you want an intimate, authentic experience, I recommend the Tango Soul class with Jessica that’s offered on Airbnb. The Airbnb website now offers “experiences” with locals that are less formal than commercial tours and give you an authentic local experience. (If you’re not already a member of Airbnb, join using this link to get $40 off your first lodging booking). You’ll meet at a small dance studio and learn a simple approach to dancing tango that focuses less on steps and more on how to hold your body, lead, and follow. Don’t worry if you don’t have a partner. Jessica will pair up the extras (nearly always women) and have them practice both leading and following. After the class, Jessica will take you to a local milonga (dance club) that you never would have found on your own. There you’ll enjoy live music, dancing, and tasty adult beverages. Watch the dancers or try out your new tango skills on the dance floor. Jessica will stay with you to answer questions and help you make the most of your milonga experience. 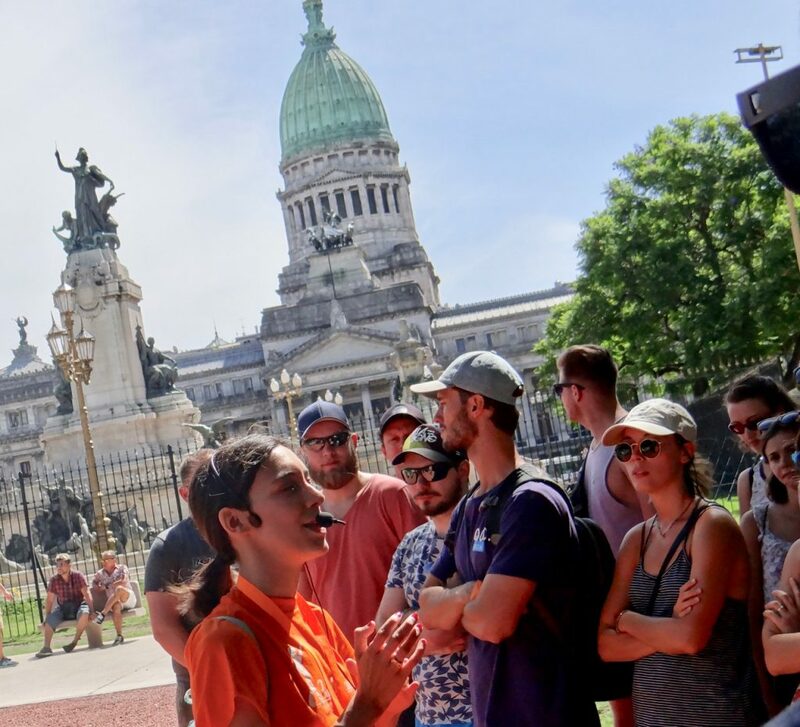 A street art tour is one of the best things to do in Buenos Aires because it will connect you with the local people, politics, history, and culture in a really profound way. There are several street art tours in Buenos Aires, including one from the folks at Buenos Aires Free Walks above. 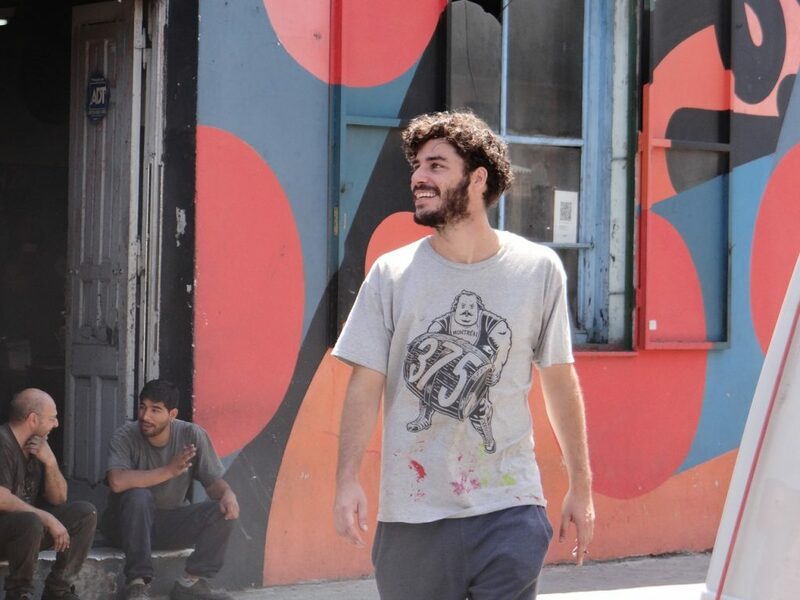 But if you want to have a unique experience, connect with Pablo (again through Airbnb) for his “Behind the Street Art Scene” tour. You’ll meet in Pablo’s studio (be sure to bring his phone number in case your taxi driver has trouble finding the place) where you’ll have coffee or tea with the artist himself and can ask him any questions you’d like. Pablo speaks excellent English and is a joy to be around. He is a talented street artist whose Siete Murales project brings other artists from all over the world to decorate a historic Buenos Aires neighborhood. Pablo will walk you around the ‘hood and introduce you to the work of the international artists while he explains how their collaboration is helping to bring joy and spirit to the area. Pablo’s love of the neighborhood and the project are very contagious. The San Telmo neighborhood is always fun to visit, but if you can schedule your visit for a Sunday, you’re in for a treat. On Sundays the streets are closed to cars for the San Telmo Feria. Pedestrians enjoy hundreds of stands offering art, jewelry, and antiques, along with live music and dance performances. Beautiful! Live street musicians at the San Telmo street market in Buenos Aires. Plan to eat in one of the restaurants on the Plaza Dorrego where there’s plenty of live entertainment. The Plaza also becomes an outdoor tango milonga in the evening. Any taxi driver will know how to get you to the San Telmo Feria on a Sunday (or to Plaza Dorrego or the San Telmo Market any other day, if you just want to enjoy this bohemian neighborhood full of restaurants, galleries, and antique shops). Guided tours, including bike tours, are also available. In the late 1970s and early 1980s, as many as 30,000 Argentinians who angered the military dictatorship simply disappeared. People were afraid to speak up when their neighbors and loved ones vanished, fearing that they would be the next to be tortured and killed. 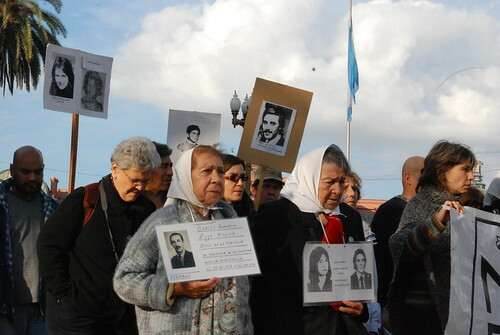 But these women boldly appeared in the Plaza de Mayo, demanding to know what happened to their “disappeared” loved ones. They were forbidden to protest, or even to gather. But still they walked silently in the Plaza, two by two, wearing white headscarves and carrying pictures of their lost family members. These women’s courage brought international attention to the government’s crimes against humanity. Today, their white headscarves are an international symbol of peaceful resistance. Many are in their 80s and 90s, and some in wheelchairs, but the surviving women still walk in the Plaza every Thursday afternoon at 3:30 as they have for 40 years. If you’re looking for meaningful things to do in Buenos Aires, read about these living legends, then go to the Plaza to bear witness to their pain and courage. 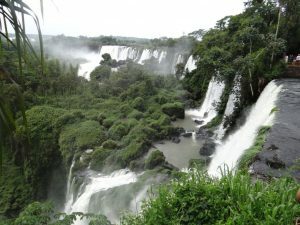 Iguazu Falls is quite a bit to the north of Buenos Aires, but can be reached by a short flight. The simplest way to see the falls is to join a guided tour. You’ll definitely want to enjoy the famous Argentinian parillas (grill restaurants). Some even have vegetarian options. Use Trip Advisor to find the best-loved restaurants near you. A local cooking class is always a great way to get a taste of a region. Argentina is famous for its Malbec wines, so a winery or wine-tasting tour would be one of the best things to do in Buenos Aires. A final word of advice: 5,000 mobile phones are stolen every day in Buenos Aires. Keep your belongings secure in the city.